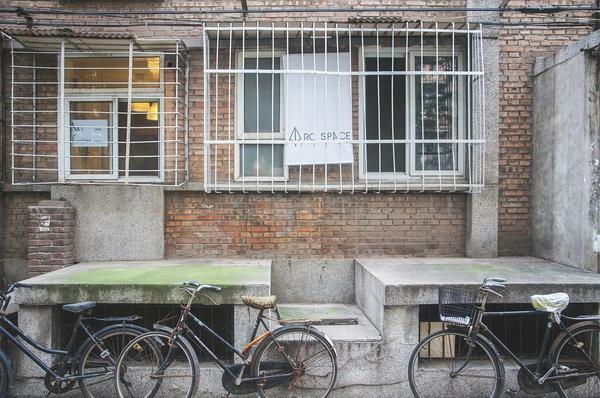 In February, we connected over Skype with 張理耕 Jerome Araki, director of Arc Space located in Beijing, to ask him about the significance of his space's location in Beijing, what he thinks about the art world in China, and what sort of artists he'd like to have as residents. China Residencies: Can you tell me a bit about your personal background? Are you a practicing artist? And how to did you become interested in the arts? Jerome Araki: Aside from running Arc Space I also make my own work. At first my interest in starting the space came from myself being involved in the creative industries, as well as doing some programming for artists, and wanting to showcase their work. I felt like the opportunities offered by museums and galleries weren’t accessible or open enough to do this properly, and so it was fortunate that I found the space. CR: When did Arc Space get started? JA: I had the idea to initiate the residency probably last Chinese New Year. I made a website and put up a call for artists and their proposals, found the space in April, and did some simple renovations to it. The projects started in May. CR: How did you find the space? JA: It's kind of funny but it was my mom’s residence when she worked at the university. She was living there alone, which meant there were a few empty rooms. I had thought of using just one of those rooms for my own studio but she ended up letting me have all of it. CR: Are you affiliated with Renmin University since the space is on campus? JA: Not really. They were actually pretty cautious in the beginning because there is an established art school here already, and the institution itself is fairly conservative. They may have felt in the beginning that the mysterious appearance of Arc Space within the school grounds wouldn't be good for them, but they got used to us in time. CR: Your English name, “Jerome Araki”, was something you chose yourself? JA: Ah yeah, and I have a good story to go along with it too. When I was studying English for the second time in middle school, our teacher told us all to choose an English name. I decided on “Bob” because it the most simple one - I think it was even the first guy’s name that I found in the back of my textbook. But after being exposed to and watching more American movies, I realized that “Bob” sounded kind of like a hillbilly’s name and so I decided to chose another. I found a book, kind of like an encyclopedia of names, and chose Jerome because I really like the letter “J”. The last name, Araki, is because I really like Nobuyoshi Araki. Originally I was just using it for Weibo and Wechat but it stuck after I started penning my articles under this newname. CR: I thought you were Japanese at first! Back to the residency though, I really appreciate the goals and thinking of Arc Space. Can you walk us through where the idea came from? How come you wanted to create your art space this way? JA: The inspiration came from participating in the exhibition project held by Shanghai Modern Art Museum (Power Station of Art). Through their Emerging Curator’s Program I discovered many talented young artists in need of a space to exhibit their work. And this space wouldn’t need to be as big as a museum, or incredibly formal. I wanted the casual vibe of a gathering of friends rather than the rigid structure of a museum, so as to lessen the pressure on the artists. I began to think more seriously about my studio, and what sort of form it would take. Like maybe that it would be like a coffee shop or someone’s living room. Last January I met the organizers of a few other independent art spaces through a forum organized by China Contemporary Art Award (CCAA) and discovered the benefits of this kind of model: a flexible space without a fixed curator where the artists can work on whatever they want. I decided to put my efforts into realizing this plan. 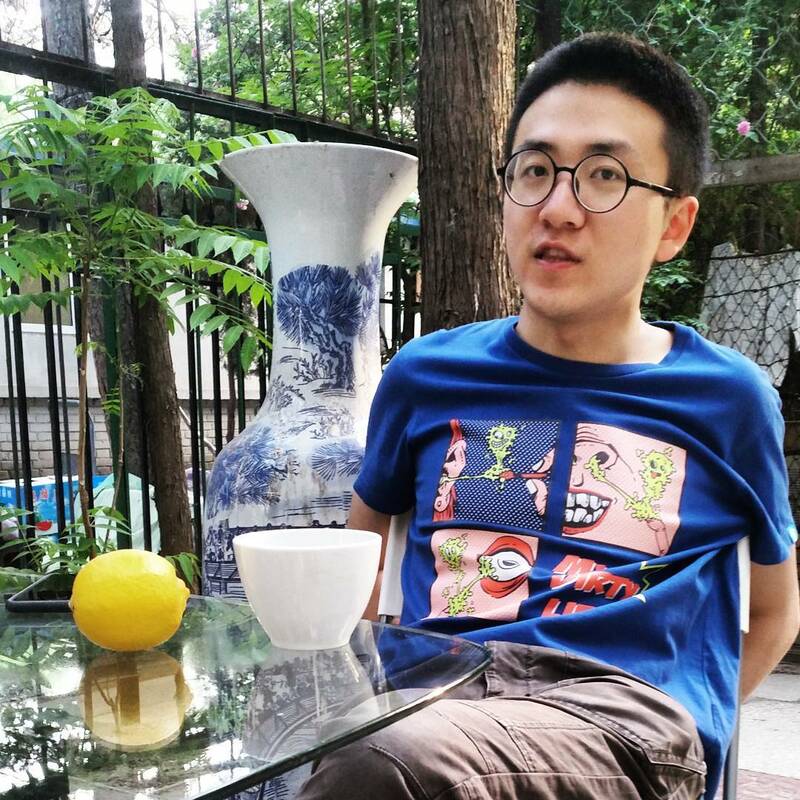 One remaining issue with it is the sense that if you’re planning on getting involved in the Beijing art scene, that it may change your perspective on things. For example, if you are deeply involved with 798 or Caochangdi, the feedback you receive from your audience or other artists may be skewed or disingenuous. I’m not really a fan of this cycle; it becomes a situation almost like when people are talking to themselves, and has the effect of creating boundaries between Chinese contemporary art and the “commoner.” The more distance there is between the artist and the masses, the less the artwork and its methodology is understood. Often, no explanation is offered by the artist and the viewers are told to just accept the artwork as is, as if the work transcends communication. I personally don’t like this, and feel like it causes artists to ultimately make less work. When your target audience is strictly limited to other artists, you’re forever just looking at a reflection of yourself, and not observing the world through a different and more nuanced lens. I want to create a portal of sorts where the artist can look out into the world, and not simply onto a mirror for self-appreciation, where those external to the artistic process can look in to understand what the artist is working on and vice versa. That’s why I chose to set up Arc Space in the academic environment of Haidian district, where people of diverse backgrounds within academic disciplines can create a more interdisciplinary and interesting environment for the artists. There aren’t really many concentrated artist communities or districts in Haidian [on the west side of Beijing]. I hope to bridge the distance between the artist’s work, the creative process, and the local community. CR: That’s an interesting perspective. The local communities and student populations in Zhongguancun probably haven’t seen that much in the way of contemporary art. Do you think that these people really are the ones visiting Arc Space? JA: It’s probably the case that the audience varies with each project. As for the people living around the school' neighborhood, they’re extremely curious about what’s being done in the space even if they have no idea what’s going on. Sometimes they just stumble in. Sometimes they’re actually interested in what’s being done, sometimes apathetic, or sometimes even asking why this sort of thing isn’t being done in [Beijing's major arts district] 798 instead. Their questions sometimes have nothing to do with the artist or artwork, but more to do with the circumstances and origins of the space. I think a lot of our visitors are office workers who live close by, or students living in dorms. Artists might only come for the openings or specific events like studio visits. CR: Do those in the neighborhood get what you’re doing and find it interesting, or are they more weirded out by it? JA: I guess a little bit of both. There’s a lot of retired or elderly professors living in our residential part of the school who often comment on how this sort of thing wouldn’t be able to take place if not for the governmental reformations. We’re normally quiet though, and the building has pretty good sound insulation so at least I don’t think we’re bothering them. CR: So about the forum that you participated in, I remember you mentioning before that this was how you got to know the organizers of I:project Space. I’d like to get a sense of your relationship with the other independent art spaces in the city. JA: I learned so much from them in the beginning. It was about six months between our first meeting and when I started really planning out the space, that I went to them all the time to see how they were executing their visions, from their discovery of the artists, to how and what sort of services they provided once they got the artists onboard. I made many great friends who gave me a lot of crucial advice. We all helped each other out and shared our resources, and I personally never felt any sort of antagonism or competition from them regarding the starting of my space. It actually made me feel more close to them, especially during the planning of our event in August. Even though in China we call these places “independent art spaces,” we can’t and shouldn’t be that independent from each other and very individualistic or territorial about the way we do things. It’s so important for us to maintain our premise of independence but still interact and learn from each other. I hope Arc Space can embody this, but other spaces as well. Of course every space has its trajectory and ways of realizing itself and its aspirations, and the type of artists it wants to provide for, its founder’s original impetus, but it'd be great for us to mature without losing sight of what we originally set out to do. JA: I also think the term “independent” as its used in China is problematic. At least when describing Arc Space. I’d rather use another word that is used less in a politicized manner to indicate separation from the mainstream and the regime. JA: People had asked me some pretty difficult questions, like what sort of direction I thought the space would develop in, whether or not I planned on turning it into a brand or a platform, etcetera. In building up a space, you can make plans for things to happen within a certain time span but that doesn’t mean that it will. Also, it’ll exist as long as I still feel like it has an impact in China; right now I happen to really need it, and other artists happen to really need it too. CR: Right. There have been a lot of DIY spaces closing shop due to a variety of obstacles. JA: I think the reason for the closing of a space is more telling than its opening. You may be able to start something from pure excitement and adrenaline but the true challenge is dealing with whatever happens next; you’ll realize the reality of your space is much more complicated. Everything has a beginning and an end. CR: I’ve made a page on the website where we archive the residencies that have closed. Over the past three years, already nine residencies have stopped running. JA: There’s a lot of stress and pressure for the founder, both externally from the current economic situation, and internally from the art industry. I’ve thought about this a lot, especially when the internet was too slow while I was doing my own residency. I suddenly had the feeling that the act of creating alternative art organizations would turn into the next big thing in China, and the whole space would get really crowded. CR: Was this during the Kooshk residency? JA: That’s the one. I really enjoyed it there, the staff members were so friendly and kind and really took care of me during my month there. The residency is near the city center, actually close to where that movie Argo was filmed. I think the American embassy used to be there? Now it’s actually turned into a popular spot for anti-American protest. CR: What do you think about the state of Iranian contemporary art? JA: I think younger Iranian artists will choose to, in style, methodology, and execution to mimic or follow the traditions of Western artists. There’s a tendency to infuse some of the things they’ve seen browsing online or even while studying abroad into the artwork. A lot of the work take on traditional and mainstream art forms like photography, drawing, or painting. I feel like there’s actually little in the way of a more experimental approach. The most obvious thing I noticed is that because of the oil export business, their art market is booming: galleries everywhere are selling really well. Being in Iran really let me think a lot about the big picture. The fact that Iran is between both Europe and Asia, living there made me reconsider China’s situation and position in the East. CR: With the political situation there as complicated as it is, do you feel like any of that is reflected in the work? Or do people choose deliberately not to make anything controversial? JA: Actually I was surprised at how different Iran actually is than how its portrayed in the media, which tends to be overly symbolic and reductive. The local Iranians, at least the ones I’ve interacted with, are very suspicious of the government and think its run by extremists who are ultimately causing its decline. They’re nostalgic about the previous king’s rule, and thought he was very good at negotiating foreign relations, and wouldn’t have let the country fall into foreign exploitation. Plus, the queen loved contemporary art and was an avid collector whose collection was displayed in the royal museum. The current exhibition at Arc Space is the work of a photographer I met in Iran. I was given a portion of the artist statement to translate, and when I solicited help for it, everyone said that the text was written like poetry and so was difficult to translate. I found out that when he translated the text into English from Farsi, the poetic nature of this custom also got translated. In this sense the language of Farsi is similar to Chinese, which also has a tradition of poetry and literature. I think lately though, our grasp of our own language is declining since more and more of us would rather learn a foreign language. CR: That may be true. So, is Arc Space mainly managed by you alone, or are there other staff members? JA: Yes, mainly it's just me but I also have two people helping me. CR: I’m looking at a few things on your Tumblr right now, can you tell me more about the Feral Trade project? JA: Towards the beginning I wanted to have a few pieces where the artist would be present the entire time, and not just hang up a few pieces and go. I was excited by the idea that after its completion, the artists would leave behind an active process, not that dissimilar to that the coffee beans. I didn’t want to just display static objects. Later on, until the end of the year, I kind of changed my mind about that, and felt that the forms of some of the static works were pretty nice too, and so I made a drawing exhibition. Now I don’t have a specific criteria on the medium of the work. Its interesting, even though I’m no longer limiting the type of art that’s displayed, the space does have limitations in what works or doesn’t work well in it. The residency call this time around is directed more towards film, photography, or multimedia works, which I think the space can represent well. CR: How many residents have you had so far in the space? JA: We’ve had a few but they didn’t really do complete residencies. This is the first time we’re testing out having an artist do five weeks here. CR: Is there only one artist at a time? Could you speak more about the process of opening up the call for artists, the proposal selection process, and what the deadline is like for submissions? JA: I’ve asked a few artists whose work I admire to come do the residency, including a few who don’t live in Beijing but have expressed interest in participating. I’ve also invited a few people to submit their proposals. Regarding the selection process, we reach a decision after an inclusive discussion. That’s actually how we decided on the name for Arc Space, we all voted! CR: What’s your criteria for the artist selection? JA: In my opinion the most important thing for an artist isn’t how accomplished they look on their CV, but more so that I get a sense of genuineness through interacting with them and seeing their work. I hope that they can somehow break out and mature beyond their previous work. There are some artists who just alter or update what they’ve already completed, but this kind of approach probably isn’t very interesting for the artist, or an effective change for their own artistic development. I’d like Arc Space to be an chance for them to create something they wouldn’t, whether that’s due to time or material constraints, have the opportunity to otherwise. CR: I’m a bit curious - are there other things you work on? Or is all of your time consumed by Arc Space? JA: Most of it yes, but I also write exhibition reviews for Art World Magazine. CR: Seems like you’re quite embedded in the Beijing art scene. JA: I’m actually pretty shy, and feel like I need to be less introverted and more social. I’m surrounded by people who can make friends by just exchanging a few words. I’m more of the listen and observe type. I think I often need to confirm that there isn’t a huge ideological gap between myself and whoever I’m talking to. CR: The art world needs people like you, because you're so willing to help artists with their work and exhibition space. I know you haven’t decided yet who will do the residency this time, but what sort of artist are you looking for? JA: Ideally someone who has a lot of curiosity about the world. I know a lot of artists who have made a lot of seemingly interesting art, but who possess none of this need to be exploratory. I want the artist in residence to use their instincts and experiment boldly, to turn the space into their laboratory and site for exploration, and to able to accept that they might end up failing. CR: So an artist could just come to the residency with a researcher’s approach? This way there isn’t really an issue of success or failure. JA: It’s pretty hard to determine whether or not something succeeds or fails within such a short amount of time right? There could be a lot of interesting work that don’t get completed or don’t take off within this time frame, or even actually solidifies much later under the assumption that the artist is still working on it. Only time can tell how good something becomes. When I said “succeed” or “fail” I’d meant it more as whether or not the work has been effective. Sometimes when you’re only looking at one slice of time and not the whole, it could look like a failure. CR: I think this is the best approach because there’s no pressure for the artist to rush to present something complete. JA: My hope for myself, and for my colleagues, is that we can maintain clarity. Right now in the field, there are some who are looking at independent art organizations to reveal something about China. Museums and galleries are also very eager to subsume these independent organizations into their own space. There’s so many issues with this, but mainly that of systematization. I hope all independent spaces will be able to hold onto their unique visions and purposes, and their approaches to making them happen, even under these circumstances. I think this is probably the big question for the coming years. For example, some of these spaces actually want to become a museum or a gallery, and so when they’re selecting artists, they tend to choose ones that could easily then be introduced to more established institutions. This way they become kind of like a middle man. Interviewed by Kira Simon-Kennedy over Skype on February 17th 2016, and translated by Fei Liu for China Residencies.